CRISPR-Cas9 is the shorthand for a new technology that edits genes at an unprecedented speed and scale. It stands for clustered regularly interspaced short palindromic repeats with associated protein 9. And it’s on track to be one of the most important scientific discoveries of the 21st century. Genetic diseases previously thought to be only treatable, such as cystic fibrosis, might soon be curable altogether. Crops previously susceptible to disease can be made immune to disease altogether. The potential ramifications are nearly impossible to overstate. CRISPR (pronounced like the “crisper” in a refrigerator) was first discovered by Jennifer Doudna, campus professor of molecular biology and chemistry, and Emmanuelle Charpentier, a French biologist now at the Max Planck Institute in Germany. In layman’s terms, CRISPR allows a scientist to make incredibly precise cuts inside a gene very quickly, slashing hours from genomic research. Since discovering the technique, Doudna and Charpentier went their separate ways and began building on their finding — and just about every other genome lab in the world followed suit. There’s a rush among biologists to publish the next big CRISPR paper, hoping to capture acclaim, funding, patents and more. Often, separate labs publish competing papers within weeks of each other. Breakthrough papers become cover stories of national newspapers and create faculty celebrities at home universities. The implications of success are enormous. Thousands of lives, if not more, could be saved, and even more than that extended. Many in the field believe the next public health miracle will come using CRISPR. Earlier this year, scientists used CRISPR to successfully edit genes in human embryos for the first time, fixing a disease-causing mutation. The landmark study, published this month in the journal Nature, showed the awesome scientific potential and accompanying ethical concerns of gene editing in human embryos. If a dangerous mutation could be fixed, so could “cosmetic” genes such as those determining athleticism. An ethical debate about the use of CRISPR is currently circulating through the scientific community, similar to a debate that sprung up when genetic modifications were first emerging in the 1970s. The technology itself is simple, and it’s accessible to most any scientist who wants to use it, but clusters of research hubs have begun to emerge. Doudna and Charpentier have developed their own separate centers, in Berkeley and Germany, respectively, while Feng Zhang of the Massachusetts-based Broad Institute has his own center, strengthened after it secured a key patent to the use of the technology. 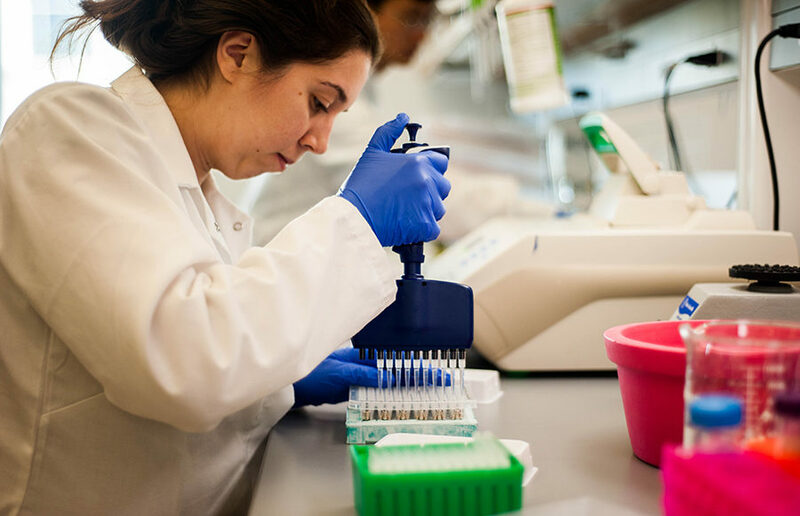 But behind the big names, the research behind CRISPR was built with endless amounts of work: work by postdoctoral fellows, by graduate students, by research assistants and by undergraduates. 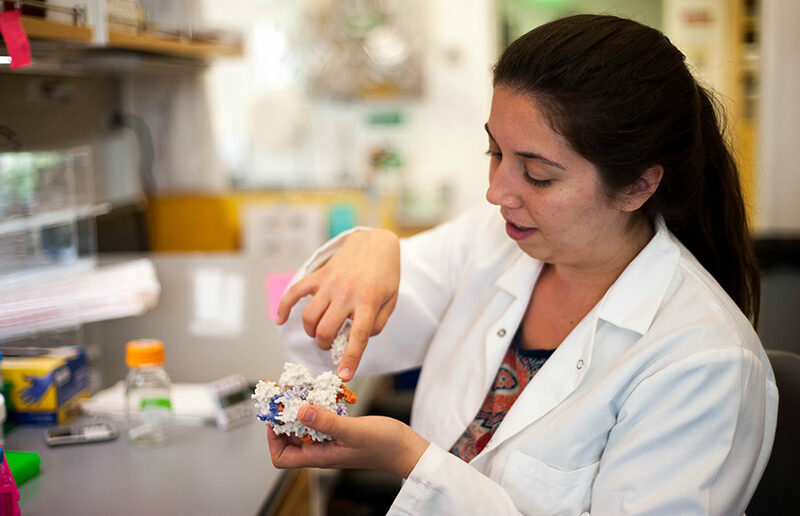 A series of interviews and lab visits by The Daily Californian show what it’s like to do this work, and what it’s like to be on the ground floor of a scientific revolution changing the makeup of life as we know it. 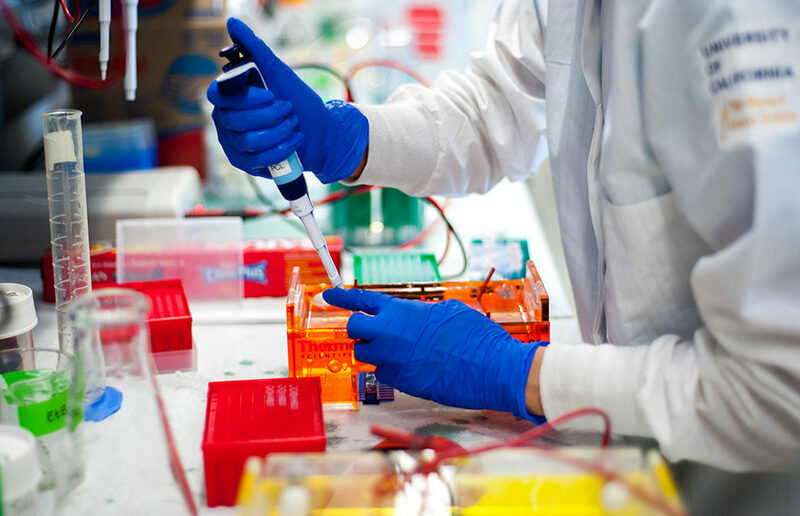 A cluster of CRISPR labs is located in the Energy Biosciences Building, a 5-year-old building on the northwest corner of campus. When people call UC Berkeley a research university, they’re talking about places like this. No one here talks about a lack of resources or a lack of funding, and class sizes don’t particularly matter because the classes don’t particularly matter. It’s evident that the people here are a reason why UC Berkeley hasn’t lost its “No. 1 public school in the country” reputation despite key leadership resigning amid sexual harassment and financial scandals. CRISPR labs are — to put it succinctly — very, very nice. Everything that can be made of glass is made of glass. There are seemingly gratuitous wood accents, and just about everything is clean and well-maintained. It has the scientific equivalent of new car smell. One of these labs is the plant genomics and transformation lab, led by Myeong-Je Cho. It’s part of the Doudna-founded Innovative Genomics Institute, created to organize and publicize CRISPR research. 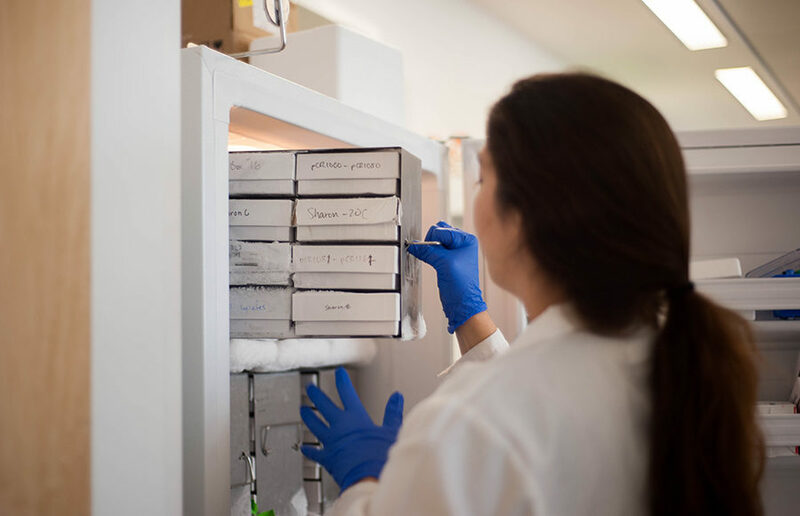 Located on the ground floor of the Energy Biosciences Building, the lab is only a few months old, and new instruments are still arriving about every other week. Inside, Cho points out his new gadgets with a short description followed by their prices: $40,000 for a fluorescence microscope, $600 for a small tube of gold powder (actual gold) and $30,000 for something called a DNA particle gun. Cho said it costs at least $1.5 million to start a new lab, before labor costs. His lab clearly costs more. 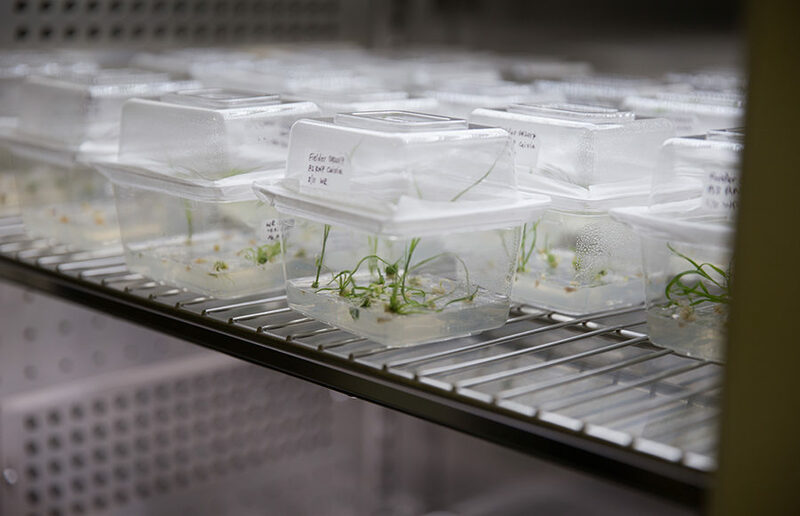 Cho and his team are using CRISPR to create the next generation of genome-edited plants. Currently, he’s got funding from Mars, the candy company, to research disease-resistant cacao, and he’s also got a number of other projects on plants ranging from wheat to tomatoes. Down in the basement, special chambers grow wheat. Each one costs at least $100,000, Cho said. 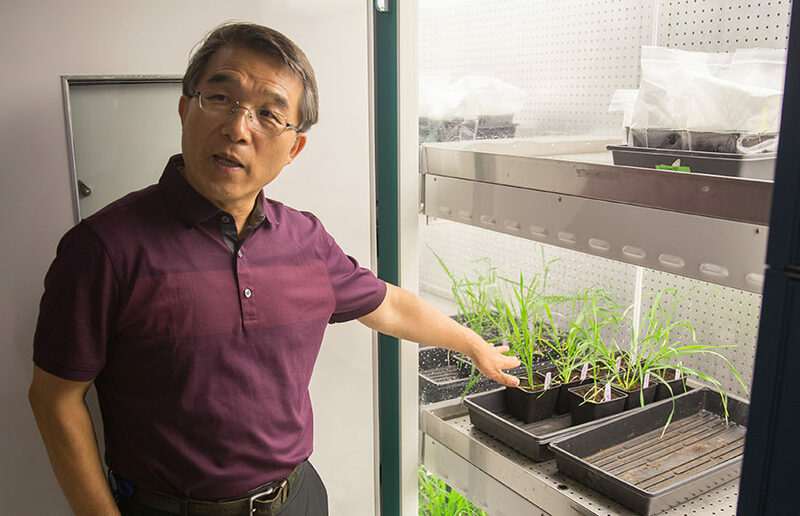 Despite every scientific resource imaginable to accelerate their research, Cho and his team still have to wait for plants to grow, which for wheat can take 3 months. Cacao takes even longer. A lot of the scientists here, including Cho, spent time in private industry. Cho came from DuPont Pioneer, a giant Iowa-based seed manufacturer. When you hear about genetically modified food, he’s the guy who helped design the modifications. It’s clear the staff here likes the flexibility of academic research compared to the “maelstrom” of private industry, as Cho calls it. 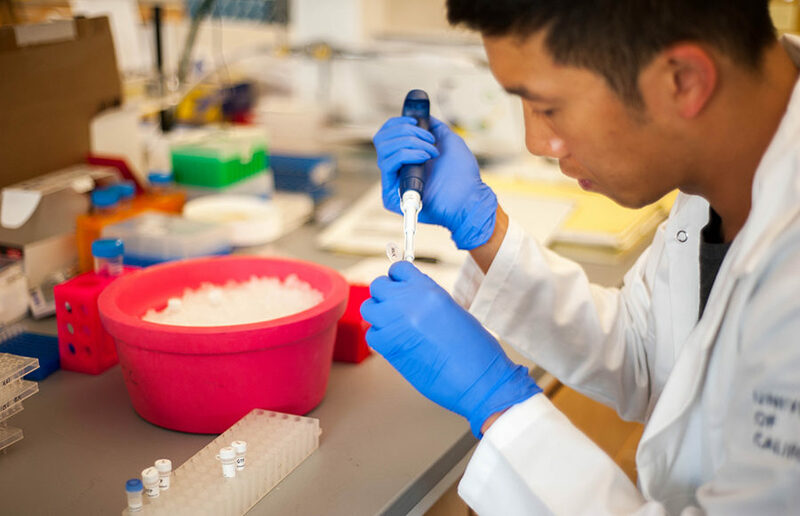 In industry, a researcher will work on one small component of a massive project, but in academia, one person can see a project through from start to finish, said Julie Pham, a research associate in Cho’s lab. “Here, we’re allowed to collaborate with anyone we want,” said Jackie Tanaka, Cho’s lab manager. One floor up is the Corn Lab, named for it’s principal investigator, Jacob Corn. It does research in human cells, using CRISPR to find potential therapies for genetic diseases. The Corn Lab is almost twice the size of Cho’s lab downstairs, with rows and rows of lab stations filled with pipettes and solutions. Researchers with headphones in plug away with their micropipetters, like in most any biology lab. 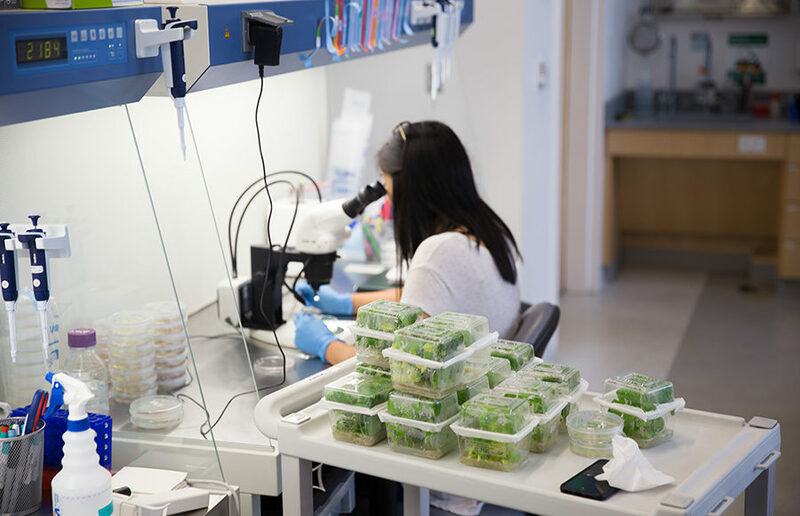 While the plant transformation lab works on the laidback pace of plants, researchers up here work, as they say, “crazy” hours. Several researchers said coming in on nights or weekends isn’t uncommon. And despite the expensive equipment, some researchers did say the pay could be better. A typical salary for a research associate here is about $40,000. But the hours and the pay haven’t dampened morale — everyone from the undergraduates to the postdocs speaks about their work with passion, and in the Corn Lab and the plant transformation lab, most everybody agreed that they have one of the best jobs they’ve ever had. 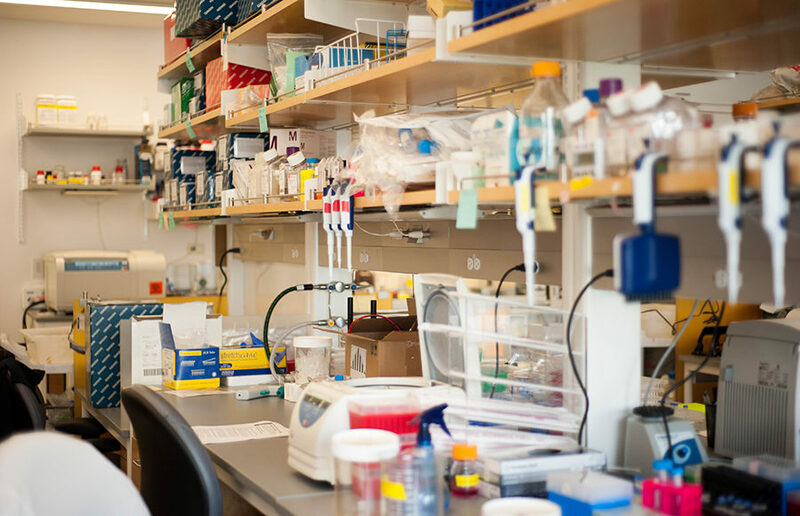 While other lab directors — especially those not from the home of CRISPR — might worry about funding or grants, staff members in both labs said they have everything they could possibly want. 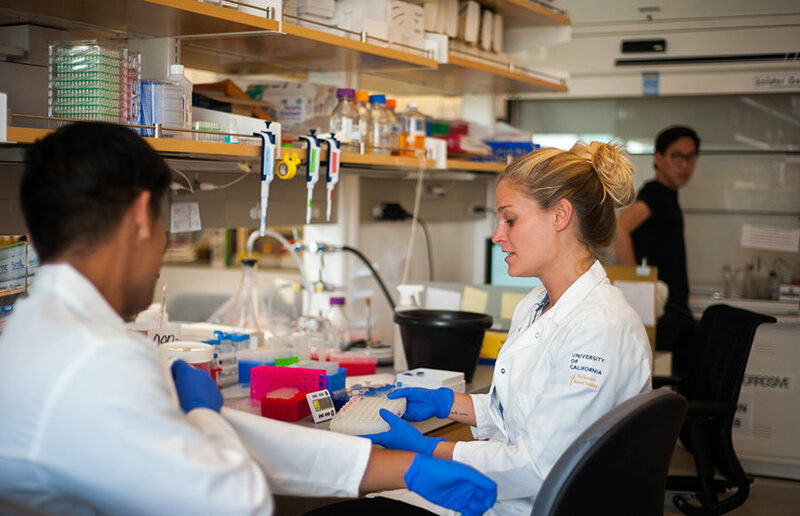 “Everything” doesn’t mean personal chefs or in-office massages — it means that the enzyme they need is located in a lab on campus, and they can get it in no time. And for Cho, it means that he doesn’t even need to present to foundations or companies for funding — they come to him. Still, for the most part, the CRISPR revolution doesn’t really look like a revolution. The labs are a little nicer, there’s more money involved and there’s probably a little more fervor. The stakes are higher, with potentially millions of dollars to be made, but that doesn’t seem to faze anyone. That millions of lives could be helped doesn’t seem to faze them either. They do what just about every biologist before them has done — put their headphones in and get to work. Contact Austin Weinstein at [email protected] and follow him on Twitter at @austwein.